Chronicles from Iran » English » Gerontocracy » Emailing Despots: Why Not? The web’s social media is not on offer for every one in Iran, censorship prevailing. The theocracy prefers things to be under control when emailing despots. The web’s social media is not on offer for every one in Iran, censorship prevailing. The theocracy prefers things to be under control. We published this in 2014. The pictures have changed but the the paper’s page link is still valid in 2017. In The Very Islamic Republic of Iran, Facebook, Twitter and other Social Media are nuisances. Therefore, IRNA is opening an emailing service for its own readers to be in touch with our rulers. So very considerate. By emailing despots, We have already asked a few questions, not so very considerate. Will you please try the links and email for yourself? Click here. 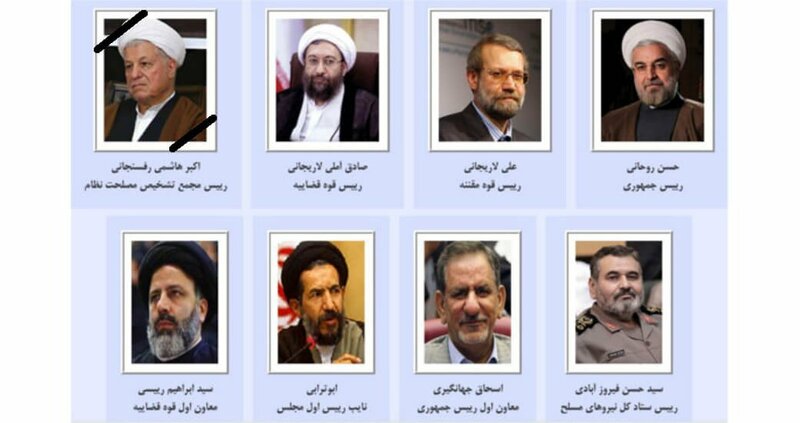 NB: The Father Figure, the Supreme Guide and Tyrant, Ali Khamenei, is missing from the IRNA’s charming portrait gallery. 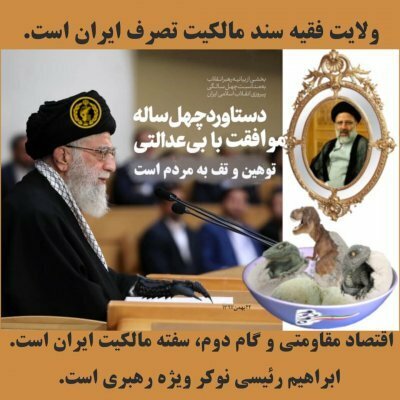 Ali Khamenei is godly. We, mortals, are not to share with His Highness our sinful views on a secular republic, void of the bloodthirsty Islamic hypocrisy and cowardice. The Islamic Republic of Iran must fall. What ‘s your opinion? Tell us more. Or you would have these figures for years to come?